Get outdoors at Devkund Waterfall and Tamhini Ghat. 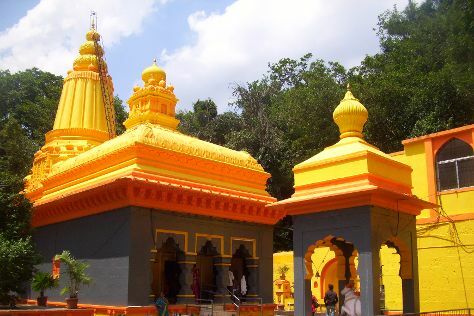 Step off the beaten path and head to Baneshwar Temple and Shri Satya Sai Pandurang Kshetra. Venture out of the city with trips to Khandala (Lohagad Fort & Pawna Lake), Raigad (Raigad Fort & Shivthar Ghal) and Prati Balaji Temple (in Ketkawale). There's lots more to do: glide through the air with a parasailing or paragliding tour, make a trip to Narayani Dham Temple, see some colorful creatures with a scuba or snorkeling tour, and take in the awesome beauty at Vetal Hill. Ask Inspirock to suggest an itinerary and make planning a trip to Pune fast, fun, and easy. Wrap up your sightseeing on the 24th (Mon) early enough to travel back home.